I'm FIT for a QUEEN. Deadheading isn't necessary but removing spent blooms isn't harmful if you want to clean the plants. 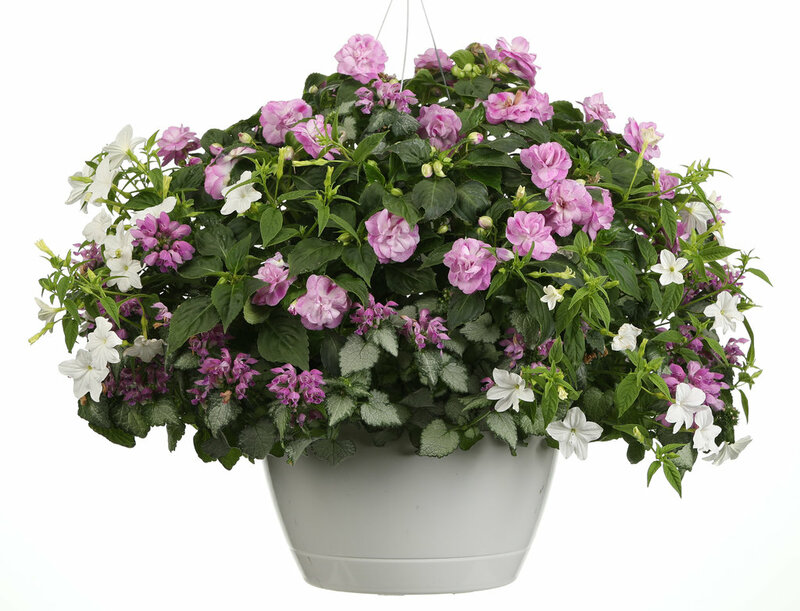 Rockapulco impatiens are very easy to care for, provide them with a shady location, give them a bit of fertilizer and don't let them dry out too much and they will be happy campers. The shouldn't need to be trimmed back, but can be pruned to shape them at any time. If they get too tall, you can cut them back to promote additional branching and a more compact habit. 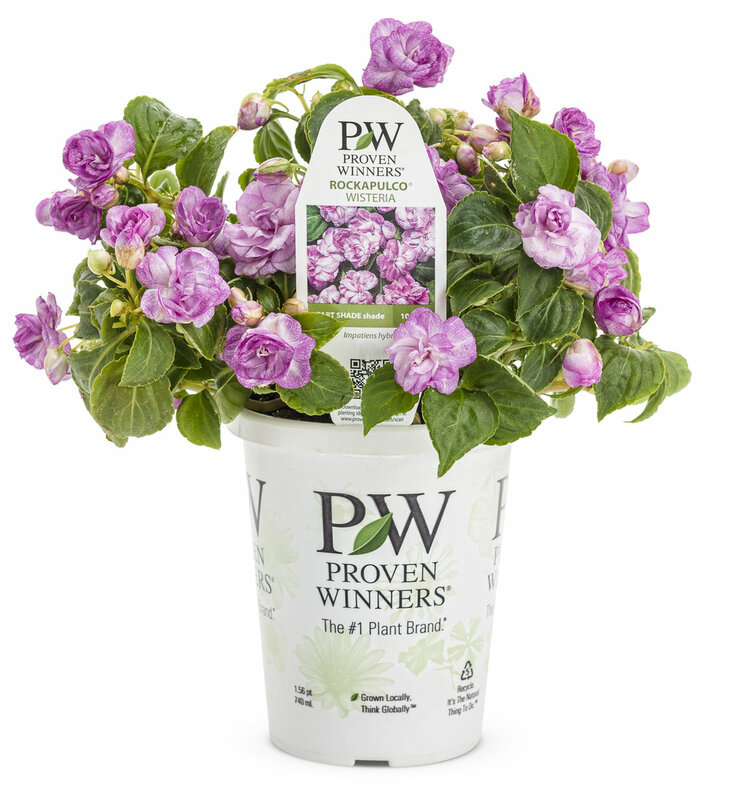 Absolutely breathtaking, fully double, lavender pink and white bicolor blooms will make Rockapulco® Wisteria Impatiens shine in your containers and landscapes. 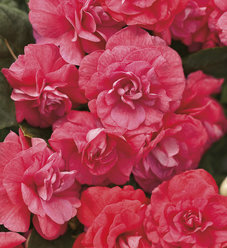 Its buds open like miniature roses covering the mounding foliage all season long. 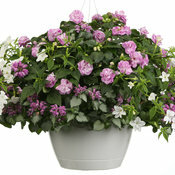 Is there anyone who hasn't heard of Impatiens? 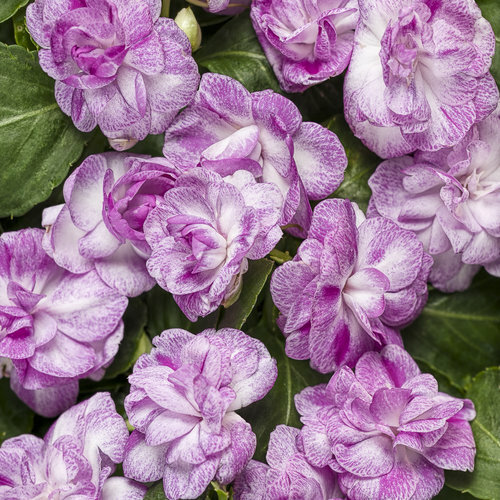 They grow in shade, like warm weather, are annual except in zones 10-11, have single or double flowers. 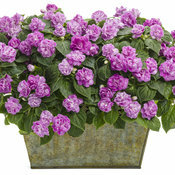 Rockapulco, however, aren't your avergae shade garden variety Impatiens. Were a new series from one of the world's best plant breeders. 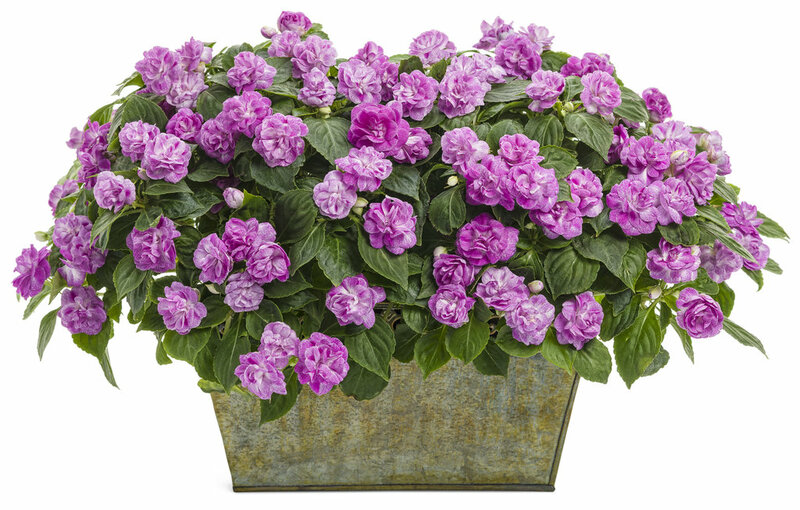 Rockapulco thrive in the hottest, most humid deep shade. 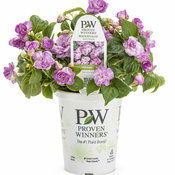 Is there anyone who hasn't heard of Impatiens? They grow in shade; like warm weather; annual except in zones 10 - 11; have single or double flowers? 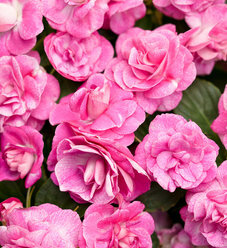 Rockapulco, however, aren't your shade garden variety Impatiens. We're a new series from one of the world's best plant breeders. Rockapulco thrive in the hottest, most humid deep shade. Like inside a brick-walled courtyard in the Midwest or South. Each plant forms a symmetrical mound of dark green foliage 10 -20 inches tall. 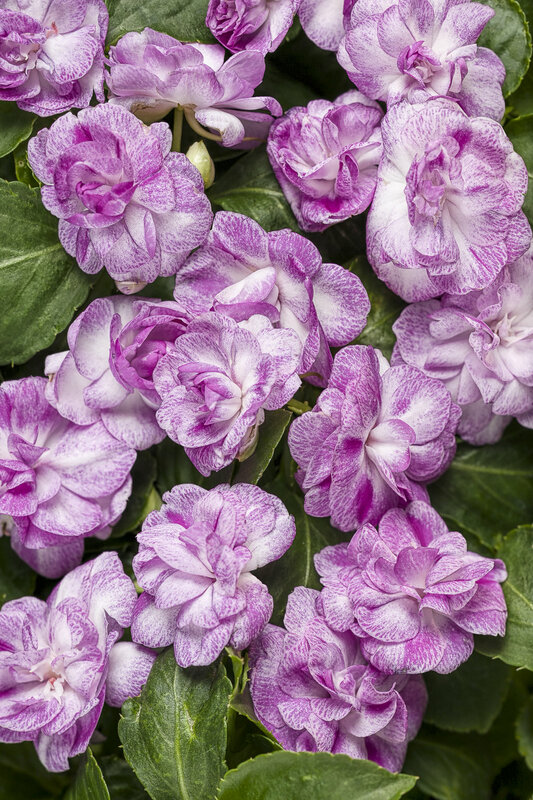 Within a few weeks, an endless profusion of double flowers creates an ever-blooming display of color. 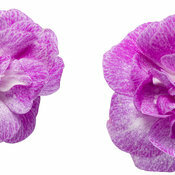 Appleblossom, Dark Orange, Orchid, Pink, Purple, Red, Rose, and White. We will Rockapulco your world. I really liked this double impatiens. I planted it in the garden in a shady spot. It bloomed well all summer. 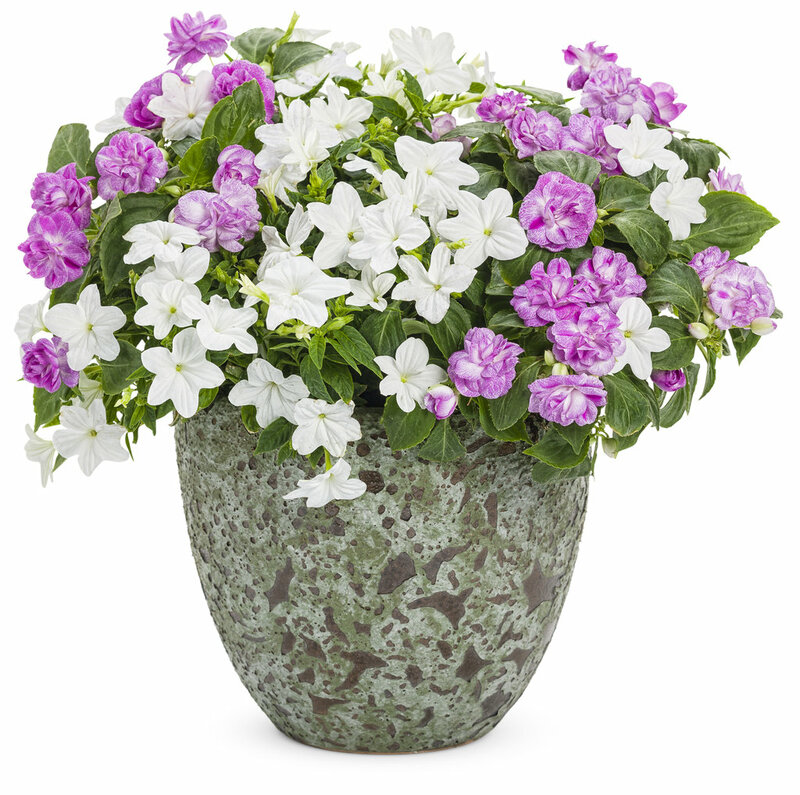 I combined it with the white double impatiens. They looked so pretty together.